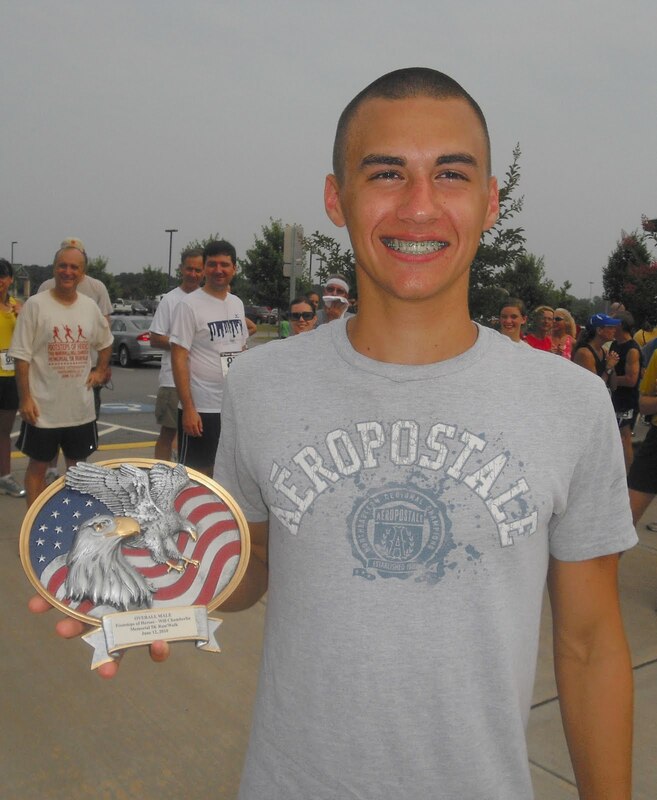 The Footsteps of Heroes/Will Chamberlin Memorial 5K is an event in memory of Fallen Heroes in Iraq, specifically, Evan Marshall, who was killed in Iraq 2 years ago. Will Chamberlin coordinated the Inaugural Footsteps of Heroes in 2009. Will died a couple of months ago and Evan's father added Will's name to the race this year. Track club member, Daniel Broadhead, was the overall winner with a time of 17:09, beating out last year's winner's time of 17:49. Daniel is 15 years old and a rising sophomore at Wayne County High School.